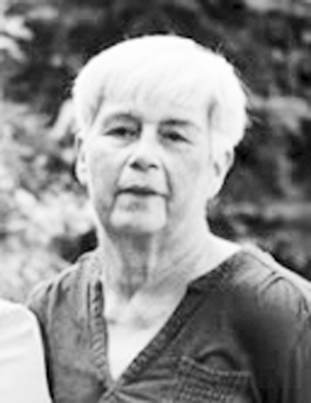 SOUTH RANGE — Cheryl L. (Wayne) Hackman, 61, a resident of South Range, passed away on Saturday, August 18, 2018, at UP Health – Marquette Hospital, following a short illness. She was born on February 9, 1957, in South Range, the daughter of the late John and Florence (Pidgeon) Butala. Cheryl was a graduate of Jeffers High School. On October 20, 1979, Cheryl was united in marriage to Wayne Hackman. Since that time, the couple resided in South Range, where they raised their two children. Mrs. Hackman worked for a short time at the Big Saver in Hancock, before beginning a career at the Houghton County Medical Care Facility in Hancock. She retired after 34 years as the activities director of Woodland Haven. Cheryl was raised in the Catholic faith. She enjoyed baking, gardening, working on craft projects and spending time with the light of her life, her grandson, Tanner. She also enjoyed visiting with her special friends, Nancy, Betty and Sandy. Preceding her in death were her parents; her brother-in-law, Paul “Spudo” Burkman, Jr.; her nephew, Elliott Kangas; and her mother-in-law, Eleanor Hackman. Surviving are her husband, Wayne Hackman of South Range; her children, Emily (Ryan) Avendt of Houghton, and Justin Hackman of South Range; Justin’s son, Tanner; her sister, Margaret “Cusin” Burkman of South Range; and numerous nieces, nephews, cousins, sisters- in-law and brothers-in-law. A Memorial Mass of Christian Burial for Cheryl will be held at 11 a.m. on Wednesday, August 29, 2018, at the Holy Family Catholic Church of South Range with Fr. John Martignon to officiate. Burial will be in the Mountain View Cemetery of South Range. Friends may call on Wednesday, August 29, 2018, from 10 a.m. until 10:45 a.m., at Holy Family Catholic Church of South Range. To view Cheryl’s obituary, or to send condolences to the family, please visit memorialchapel.net.